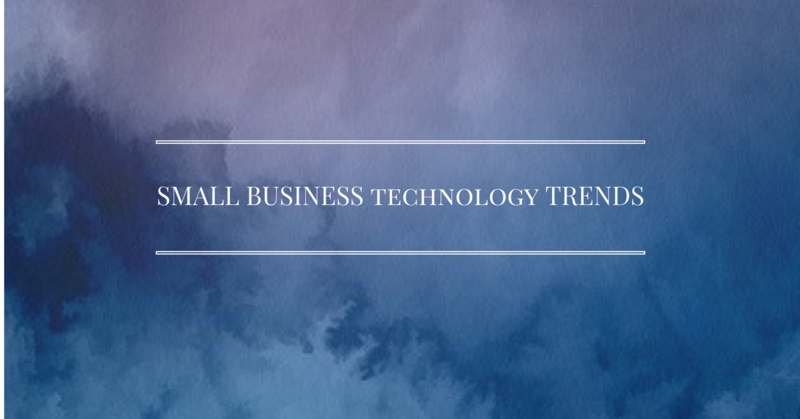 This interview is looking at the Small Business Technology trends that are affecting Small/medium sized businesses. Due to the rapid changes in technology, there are many new trends for small/medium sized businesses. I recently visited the Microsoft offices in Sydney for a project I am working on at the moment (very exciting) and also got to chat to some of the SMB team that work in Sydney. What are the main factors affecting SMB’s at the moment with regards to technology? As I was chatting to both Emma and Matt, they shared some of their thoughts on this topic. It was great to be able to share my thoughts, frustrations ( as a Small business owner) and look to find solutions. Some of the main concerns affecting SMB’s include: Being overwhelmed by the sheer amount of data that an SMB owner has to deal with. An example was given of a cafe running a business and the daily transactions, ordering stock etc. From that is data evolution, with 80-90% of that data having been created in the past 3 years (and how to manage it and understand it) is a major issue for SMB owners. Other factors include: Not having the money to spend on upgrading the technology to support the business (and also not having time for researching hardware or software/cloud solutions). As a result, they spend so much of their time IN their business, rather than ON their business looking for opportunities to grow and further develop their brand. Many business owners struggle with technology, citing it as painful, not helpful. It is interesting to note that 70% of the decisions around technology are based on referrals i.e. what tools/apps/software works for certain individuals and businesses. How do you see Microsoft helping SMB”s in this role? One of the most interesting discussions was how ‘data and analytics’ tools are now accessible to everyone, not just the big businesses on the global market. These solutions that have generally been customised and developed for big companies are now transferable to SMB’s (and cost effective as well). Microsoft Bookings – This product will help professional service providers (an example could be a massage therapist) with chasing up appointments (you will be able to book appointments directly from someone’s website and have an automatic text message reminder for the appointment). It is integrated into Office 365 Business Premium Edition (released later this year) this year ) and is a cloud based solution. Powerbi.com This is to help check the health of your business via a dashboard and integrating with other tools such as Google Analytics, MailChimp, Insightly (CRM) just to name a few. I will be writing another blog post about this tool in the coming weeks. 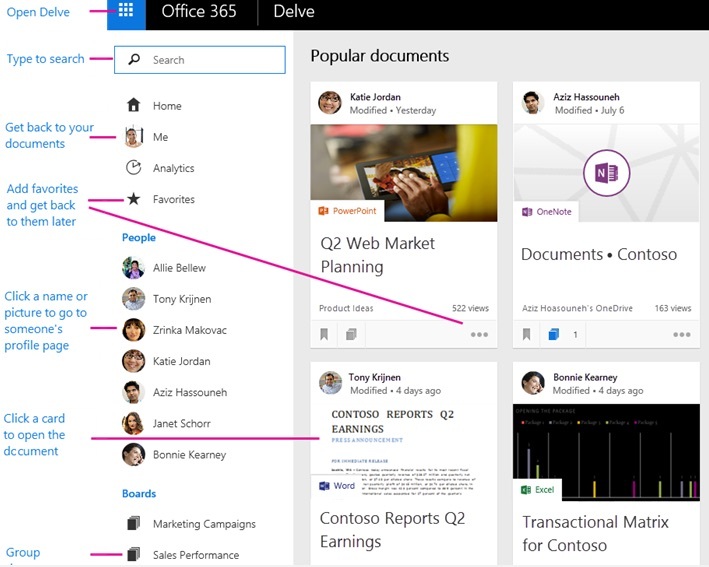 Delve – This product enables you to search thru your online document storages such as OneDrive as well as Sharepoint. An example is given below for the various ways you can search for files. What do you think the most exciting thing is for technology for SMB”s coming out in the next five to ten years? Introducing a ‘mix of reality’ – What does it look like for businesses using computer and human experience? Using AR/VR technology such as the Holo Lens in a business sense. An example could be a small consultancy firm conducting a virtual/digital training/coaching session from anywhere. Cloud services have become democratised (much cheaper and easier to access) and the support to match. Using instant translation within Skype (great for working with clients from overseas). The ability to understand the ‘health’ of your business and be able to understand the data without using a consultant to translate the information. Phone Systems integrating ‘Voice Conferencing software’ an example is a professional service firm using PBX in the cloud and integrating it with Office 365 (rather than spending a fortune on hardware). It will be the same experience as using a physical phone, but just being delivered via your laptop. Thanks to both Matt and Emma for giving up their time to speak to Tech Coach HQ about new and exciting trends for SMB’s and technology. Don’t forget to check out the Microsoft Small Business Blog for further articles. Stay tuned for next week’s article on Power BI and how it can help your business. Megan Iemma is currently a Microsoft SMB Ambassador helping SMB’s understand technology in their business.